Motorola’s mid range smartphone Moto G has been quite famous around the past few months, due to its features, power and affordability. The fully powered Moto G Smartphone is packed with 4.5-inch IPS LCD capacitive touchscreen which is protected by scratch-proof Corning Gorilla Glass 3, 1.2 GHz Cortex-A7 Quad-core processor with 1GB RAM, Adreno 305 GPU, 5MP back camera capable of shooting high-resolution photos and proudly runs on the Android Operating System. No doubt, android Kitkat runs very smoothly on the Moto G, but even this is not enough for some people. Some guys keep looking for better ROMs instead of using the stock ROM just to make their phones look better and act smarter. So, today, I’m gonna write about top 3 custom ROMs that you should definitely take a a look at, just in case you like to change your ROM. But be sure to read about the installation instructions from the developer before doing anything, on your phone. NOTE: THE ROMS MENTIONED HERE ARE THE WORKS OF THEIR RESPECTIVE DEVELOPERS. NEITHER THE DEVELOPERS NOR THE IGADGETSWORLD TEAM TAKES ANY RESPONSIBILITY FOR ANY KIND OF LOSS OR DAMAGE TO YOUR PHONE DURING THE INSTALLATION OR USAGE. ALL THE ROMS WERE UPLOADED TO XDA DEVELOPERS BY THE RESPECTIVE DEVELOPERS OF THE ROMS. XDA DEVELOPERS HOLDS NO RESPONSIBILITY FOR ANY KIND OF DAMAGE TO PHONE DUE TO THE INSTALLATION OR USAGE OF THE ROMS. Paranoid Android a Custom ROM which is well-known for its most unique “HALO” feature. In detail, “HALO” feature offers a circle floating notification panel that occupies a very little space on your device screen and displays all the assigned apps notification like Facebook, WhatsApp, Hangouts, etc. quickly. Leaving that, the Paranoid Android offers great device performance, long-lasting battery, full ART support for compatible applications, inbuilt options to set CPU frequency (Min/Max/On Demand) and much more. So, get your hands on the latest Android 4.4.2 KitKat Paranoid Android. Download Paranoid Android from Official XDA Thread Link! I can definitely say that the one is unaware about the CyanogenMod Custom ROM, he/she is from another planet! CyanogenMod is one the best Custom ROMs for Moto G and various top-notch devices with amazing features. As far as regular usage is concerned, not all the Custom ROMs are suitable because they might have some annoying bugs. However, that’s not the case with CyanogenMod Custom ROM because the CyanogenMod team broadcast regular updates when any new features are introduced in the build and for bug fixes as well! In addition to that, the CyanogenMod Custom ROM comes with all the necessary and advanced features to customize your device as per your requirements, as well as various default tweaks are added to boost device performance. So, give it a try and I’m sure, you’ll become a hard-core fan of it! 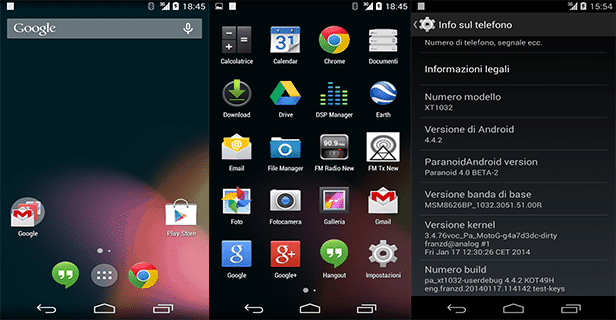 Download Moto G CyanogenMod from Official XDA Thread Link! 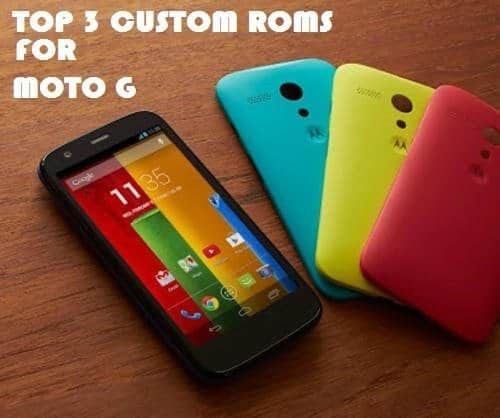 Carbon ROM – a super-fast and stable Custom ROM for Moto G. This Custom ROM is especially for advanced users because it offers advanced customization facility to boost the device performance at peak level and to modify the device interface as per the need. The Carbon ROM is all time favorite Custom ROM with extremely powerful features, as the Carbon ROM is compiled using various well-known CyanogenMod, SlimROM and AOKP sources. It means, a ROM inherits the features of three Best Custom ROMs and that’s really amazing! 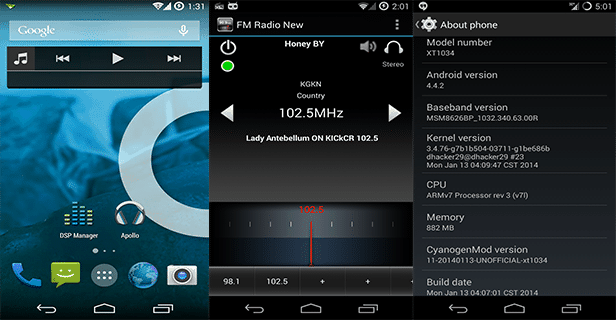 One must give a try to this ROM and explore the differences among other Custom ROMs. 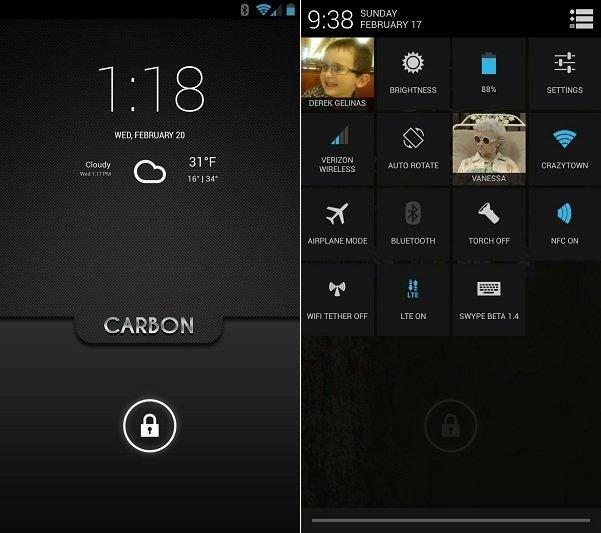 Download Carbon ROM from Official XDA Thread Link! Next articleHow to install Cyanogen mod on your Moto G?